Running a smoothly operated business with a promising return on investment and generation of uninterrupted revenues is no child’s play. When it comes to a smooth flow of business and ensuring higher profit margins, both LTV and CPA play a major role. But of course, there are certain attributes and functionalities that make LTV and CPA unique in terms of usability and outcomes. LTV stands for Life Time Value, while CPA stands for Cost per Acquisition. If you have an online business portal or website which requires being ranked at a higher position or in case visibility is a concern, then these two tools are certainly to be considered for smoother business performance in the long run. However, the question is which one of these tools can prove to be a better option when it comes to scaling your business? Here’s what you should know about. Well, in case a one-time sale is your concern, then utilizing the concept and technicality of cost per acquisition can prove to be profitable for you at least in the matter of the first sale. According to experts and case study instances, it has been seen and derived that CPA can prove to be an effective model for business targeting to attract one time consumers or buyers. The entire functionality of CPA is actually based on attracting new buyers, rather than creating a loyal clientele. So, you need to be quite clear with your understanding of the concept and the business agenda at first. If the one and only concern of yours is to attract new customers to your business, then opting for the CPA model is advisable. CPA or Cost per Acquisition technique can be used effectively if the following marketing areas and campaigns are your concern. In addition to the aforementioned areas, one can also utilize the CPA model via e-commerce SEO investments, emailing and on other platforms without the requirement for direct advertising cost. It is to be noted, although there is no direct promotional cost associated with it, other indirect expenses such as producing content, investing time, resource and energy exist. Now if we are to talk about the model LTV which is the Life Time Value, then it is to be noted that this particular tool largely concentrates on obtaining the client and retaining them with client engagement technicalities so that they can connect with the brand in a better way in the long run. This particular model can prove to be helpful for you if ensuring a lifetime value in a better way is what you aim to achieve for your business. If we are to cite instances of successful online businesses that are flourishing with each passing day, the renowned academic writing portal My Assignment Help is most likely to use LTV as their business scaling tool, as far as its profitability and client engagement campaigns and initiatives are concerned. It is evident that LTV works well for business firms aiming to acquire and retain clients for a longer period of time, or what they call “a lifetime value”. It is basically considered as the entire amount of money that a particular business or an e-commerce trade will be receiving from a client throughout his/her tenure of being their customer. There are several other benefits of using LTV as a model in order to scale your business. According to experts and proven facts, increase in LTV means an increase in the profit margin for your business. As per Marketing Metrics, there is 5%-20% possibility of selling something to a new base of client. On the contrary, the possibility of generating sales based on the already existing customer-base is somewhat around 60%-70%. Thus, here comes the concept and usability of the Life Time Value model. When someone concentrates more on the existing customer’s lifetime value by planning to come up with every necessary strategy that can ensure a long-term profit, it means that the person is actually strategizing to invest more on those aspects that can ensure him/her more profitability in the long run. Emailing on a regular basis. Make the product you would sell a subscription product. Emphasize more on quality and ensure better client service. Sell products to your existing client base. It’s easier and more profitable. 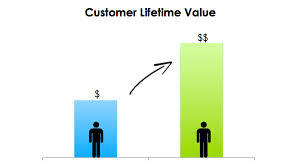 LTV is effective if you aim to achieve higher client retention rate determining the life time value in the long run. CPA (Cost Per Acquisition) CPA or Cost Per Acquisition is a marketing tool where the advertisers are required to pay the agreed amount, only after the confirmation that targeted acquisition has been delivered. This particular business model is mostly used in case of one time sales. Small businesses, Pay-per-Click campaigns, Affiliate Marketing, Social Media CPA helps you to manage paid marketing better, as it assists you to control the flow of investment on ads effectively. One-time sales and creating new customers are some of the areas where the CPA approach can prove to be beneficial for your business. Now in order to draw the conclusion, it is to be mentioned that scaling a business and ensuring ultimate profit margin at the end of the day is every business’s concern. However depending on how you choose to take your trade ahead and based on the business model or the products that are sold, CPA and LTV can be utilized. However, in most of the cases where long-term profitability is a major concern, counting on the benefits of LTV model shall prove to be effective. On the other hand, if you are planning to acquire new clients by selling your products to them, CPA, as discussed above can be counted as an effective tool. Now, as far as drawing a comparison between the two is concerned, both models are equally useful in their own ways, depending on what agenda a particular business has been built on.